Who would have thought that back in 2001 the spanish casting show „OperaciónTriunfo” would discover such great singers? His songs have the summer vibe, a taste of holidays at the beach. When he starts to dance, his hips move like no one else’s. You could say he’s the male version of Shakira. His first two records „Corazón Latino“ and „Bulería“ were a great success, not only in Spain but in all of Latin America. Even in Switzerland we were lucky enough to be able to see him live in 2007. He is very versatile, his music goes from Lation-Summerhits to Rock/Pop songs and a couple great ballads like “Para Enamorarte de Mi” or “Y Si Fuera Ella”. 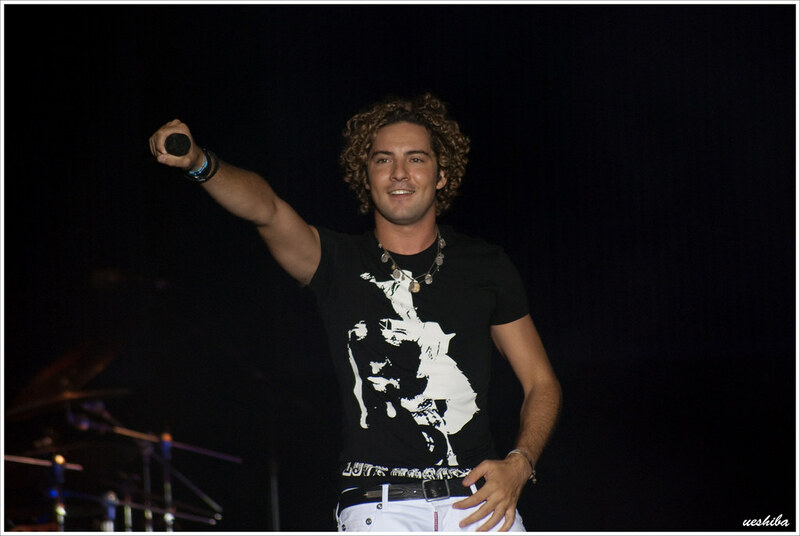 Bisbal had many female duet partners. With Jessica Simpson he sang “Angels” , Miley Cyrus sang “When I Look At You” with him and Rihanna supported him on “Hate That I Love You”. My favorite album is and always will bei „Una Noche en el Teatro Real“. This was the album he went on tour with in all of Europe. In the famous Royal Albert Hall in London he played an unforgettable show with many many great musicians. A bunch of acoustic and Spanish guitars, pianos, trombone and a strings section were there! This great show can also be bought on DVD – it’s worth every penny! Tomorrow Bisbal’s newest single „Diez Mil Maneras“ will be coming out. I can wait to hear it. Let’s keep our fingers crossed for another show in Switzerland, or at least somewhere close.